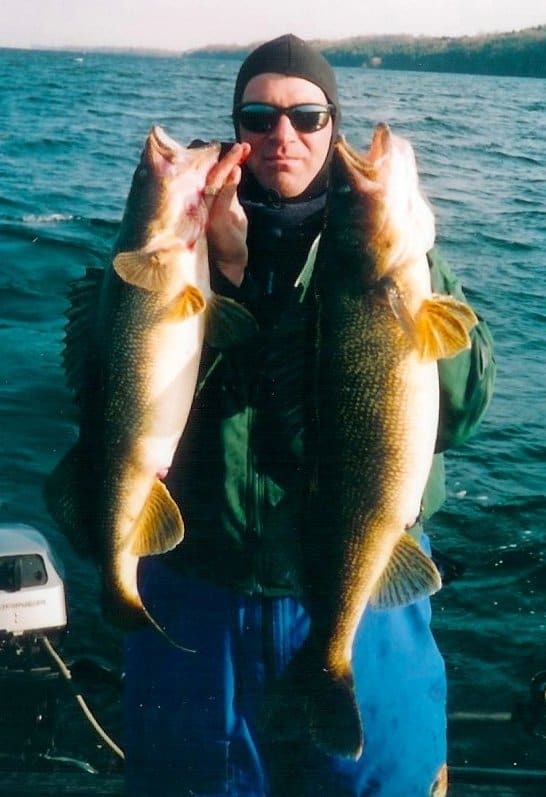 I was a walleye guide of The Bay of Quinte for 15 years. 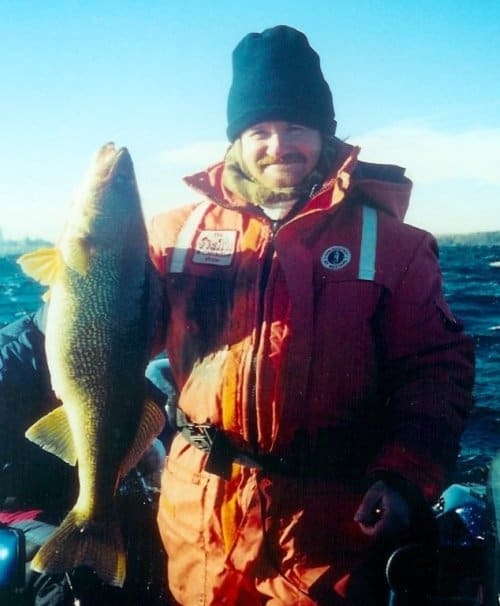 This is a picture of Karl Bernhard with a lovely 14 lb walleye he caught in late November. 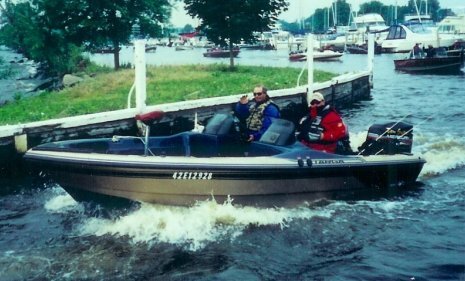 I had a great time for those years but everything gets old after a while and my wife and I started a store which keeps me off the water in sub-zero temps !!! My point is that I understand fishing and I also understand SEO so I started this site called Fishing Charter SEO to see if I could help some of you folks who are still running a charter business get some more clients by improving your presence in the Google search engines! As a guide, I did real good. I work hard at whatever I do. I also work hard as an SEO Company and I know how to get more clients to fill up your email inbox and make your phone ring. 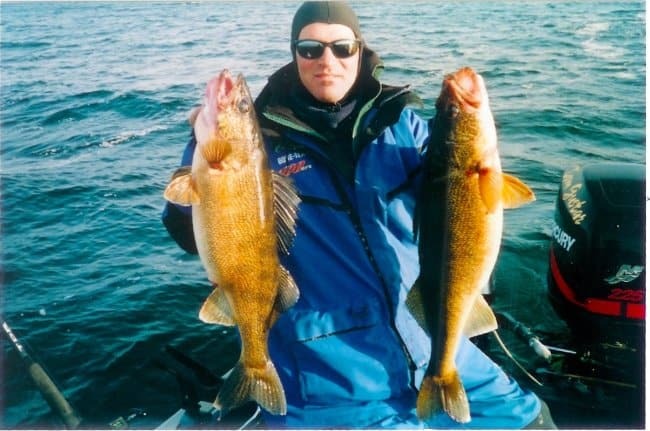 I also fished in the Professional Walleye Trail as a pro for 6 years. This is a photo of myself and my amateur partner Judy Esken. We fished together on day 3 at Port Clinton Ohio. She was great and owns more ( and bigger) boats than I do! Here’s me with a double header! 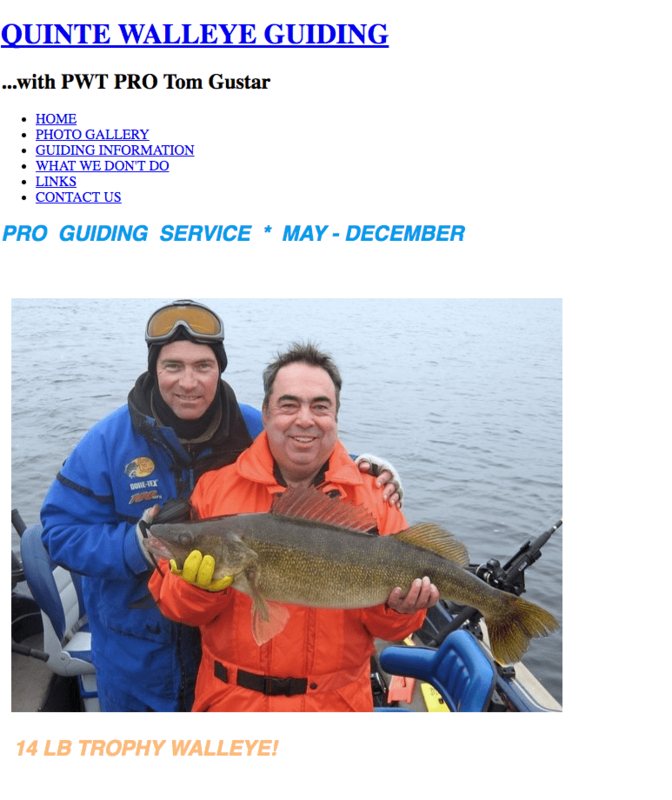 And here’s a fellow you may know from a prominent Canadian fishing show? And here’s one of us together. 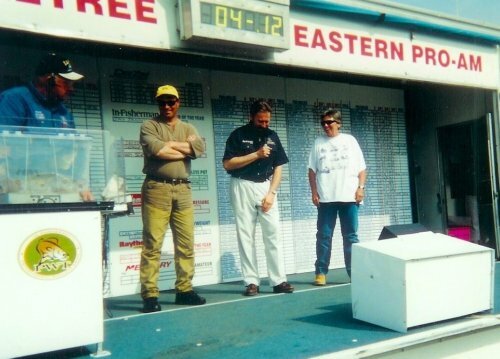 That’s Pete Bowman in case you didn’t know! And the following are a few boat shots! 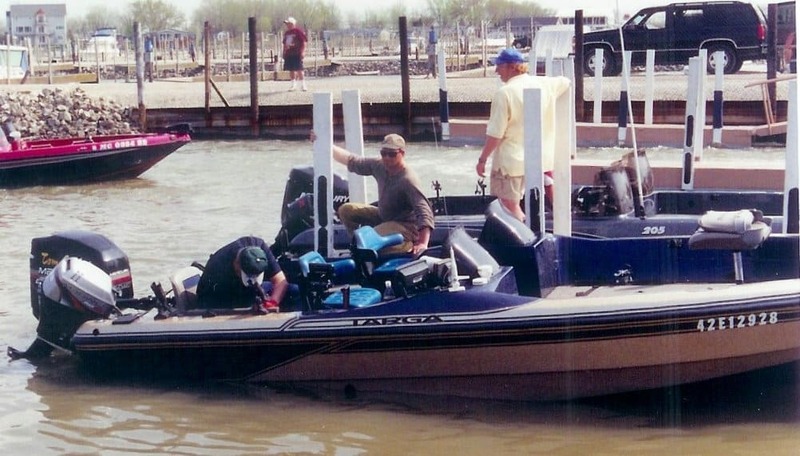 Have you ever typed your Fishing Charter name into a search browser and you didn’t find your site until page 3,4,5 or even worse. It need not be that way. 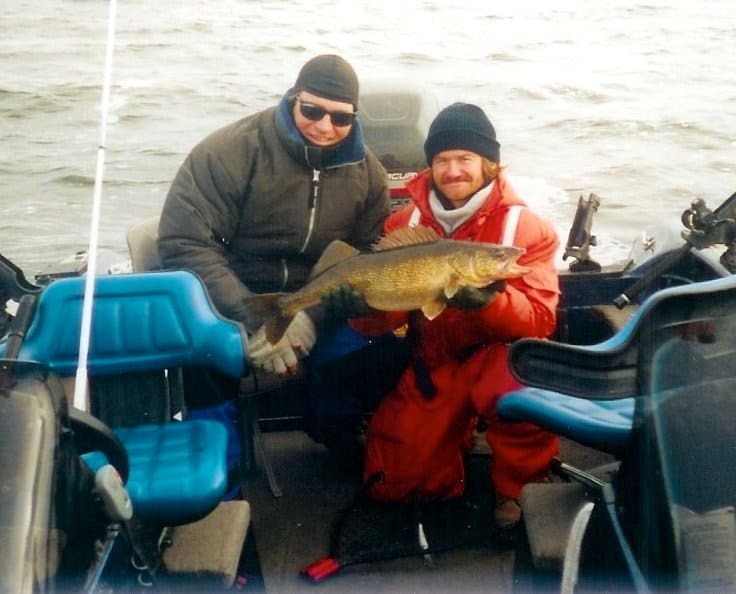 Hey…I can catch big walleyes. I can also catch big fish in a web called the World Wide Web! Having an online presence in the top 5 search results in Google is critical to success in business nowadays! When was the last time you actually used the yellow pages ? And in a business like Fishing Charters or Guiding where people come from all over the world like they did for me when I was in business, it is even more critical!! Don’t get left behind because you refuse to embrace new technology. You probably have the latest electronics on your boat so you should have the latest methods of attracting clients electronically too. Call , email or simply fill out the discovery form on the site. It can be located on either side of the video at the top of the site or to the botton left of this text. See you on the web and the water!! Share the post "Fishing Charter SEO"
Should I Hire an SEO Company Just Because They Have a Big Staff?